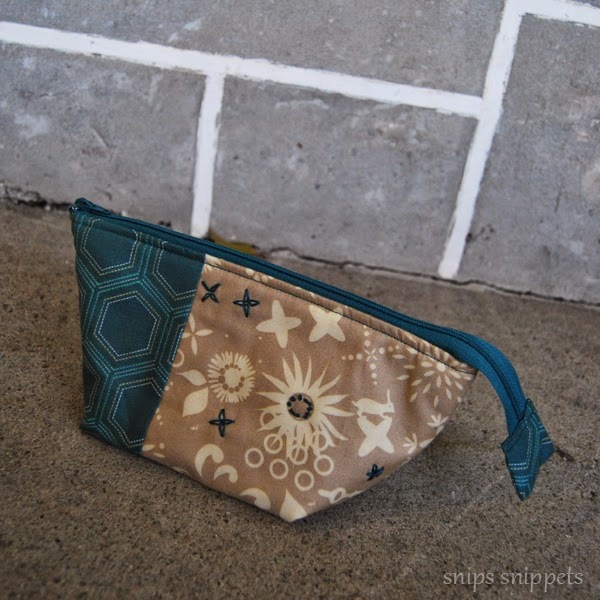 I was recently asked to take part in a fun blog hop being hosted by Alison Glass using her fantastic Celestial pattern. The idea was to use the individual blocks in the pattern, a wonderful assortment of stars, and make small items that would be great for gifting this holiday season. I was sent the PDF pattern first and while waiting for my Holiday/Winter Bundle to arrive i thought i'd start a little project for my mom to get back into the swing of paper piecing. I had a bit of shot cotton left from my sister's Fusion Star quilt and was pleased to see how nicely it played with one of Carolyn Friedlander's Botanic prints. 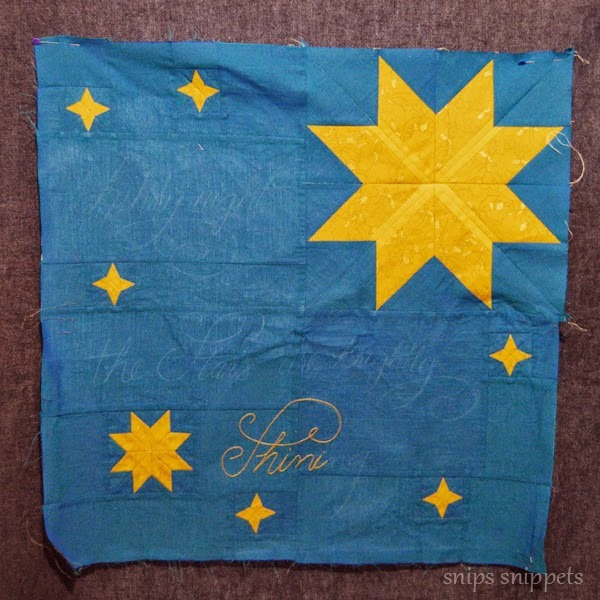 This star pattern is fantastic and will be making it's way into my Christmas Star quilt for sure! It's far from done, and my embroidery work leaves a lot to be desired, (as does the terrible lighting in this picture!!) 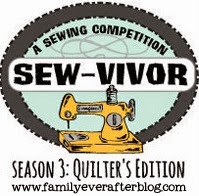 I was positive it would be just as easy to embroider with 12wt Aurifil as it would be to use floss, but when stitching words i like to use a split stitch, not so easy with one strand! But my mom thinks it looks great and that's really all that matters right?! 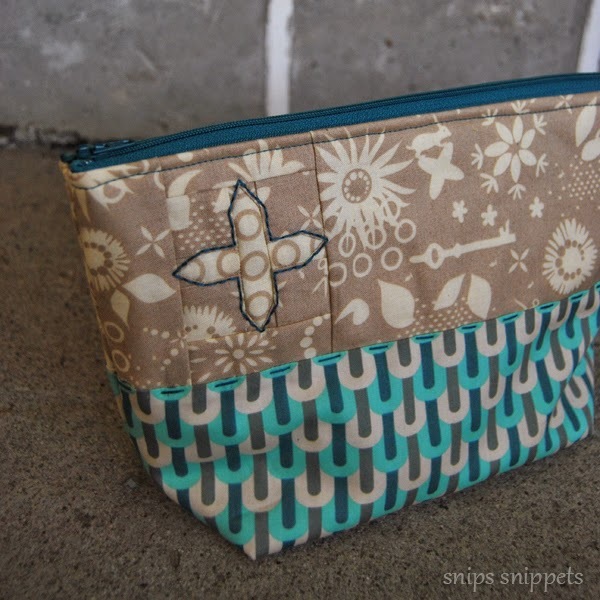 So with the arrival of my bundle i started with one of my favorite go-to gifts for every occasion, the Open Wide Zipper pouch by Anna Graham of Noodlehead. 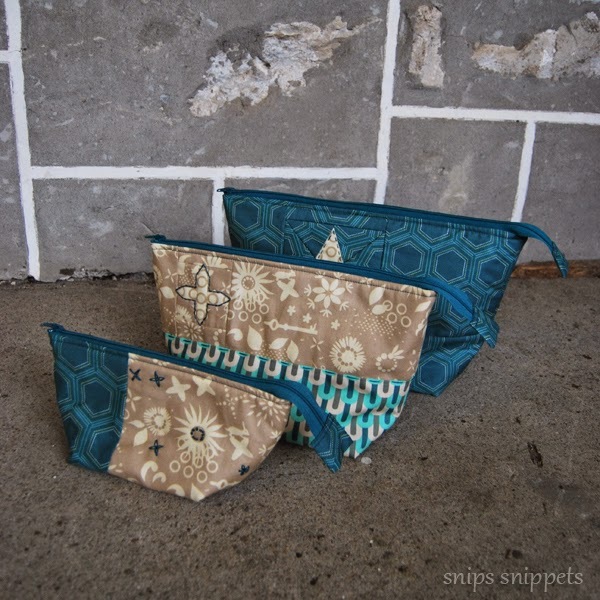 I used two of the Alison Glass prints from the bundle and paired them with some of Angela Walters Legacy line, mixed in some hand stitching and you have yourself a perfect little travel set! This little star from the pattern turned out to be my fave, so much potential in one little pattern. I love having the ability to fussy cut a print and manipulate it in fun ways. This one here i made an effort to line up the little circles in the center of the star. One of the things i enjoy about working with a PDF pattern is being able to easily alter the size of the pattern. I'm not entirely sure i used any of the patterns at their regular size. I adjusted the blocks to the sizes i wanted and just uploaded everything to Staples to be printed. I ended up with a box of printouts, yep, a box! I have more plans for all these little stars! I've lost count of the number of Open Wide Zip pouches i've made and i think these may be the first were i've used batting in them. 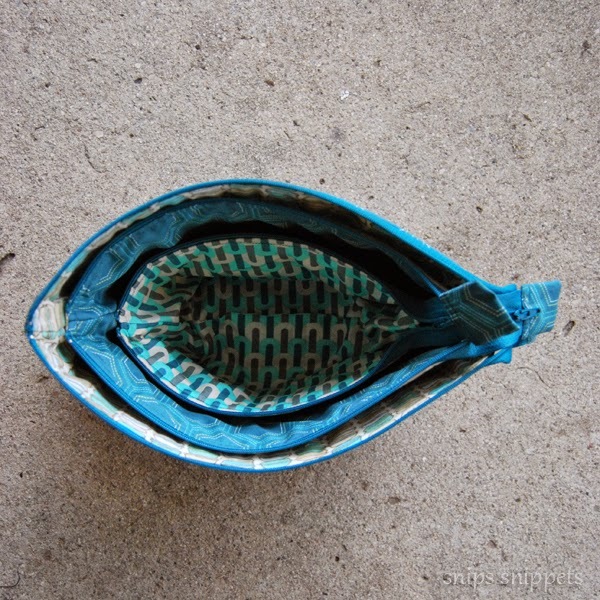 I like the structure it gives them but they're still soft enough to squish into your bag. I've reached the point where i think i've given everyone i know one of these (or three) and now need to decide if they're like quilts and you can never have enough! What do you think? Is there a limit to the number of zip pouches one person can have? For my next project i paired up some of the bundle prints with a super fun Christmas print from Alexander Henry called Santa's Village. Unfortunately because i used the wrong size of pillow form you can't see the fun little stars hanging out on the bottom. I'm hoping if i use a flatter insert you will be able to see them better. 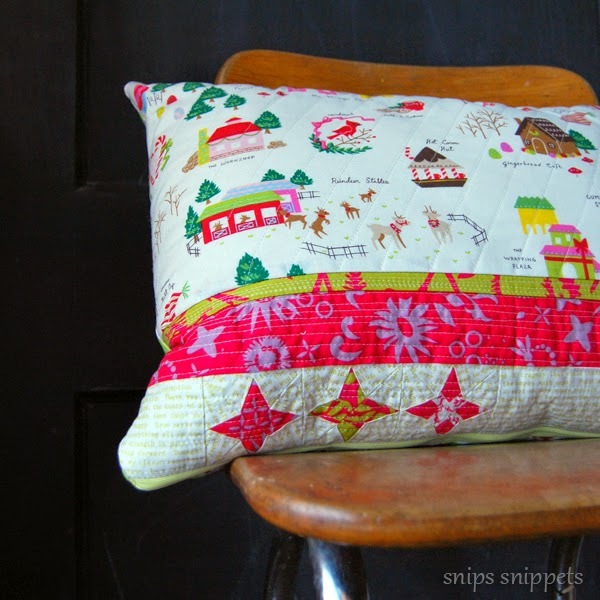 I love the mix of prints for this pillow and will definitely be pairing them together again for another project! 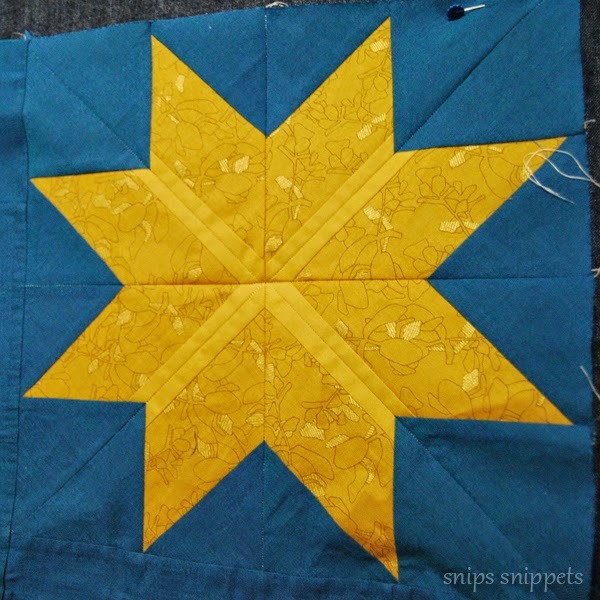 I feel like the rest of stars in the pattern aren't getting any love! But this little one is so perfect for little projects! And because it is so perfect i used it again! 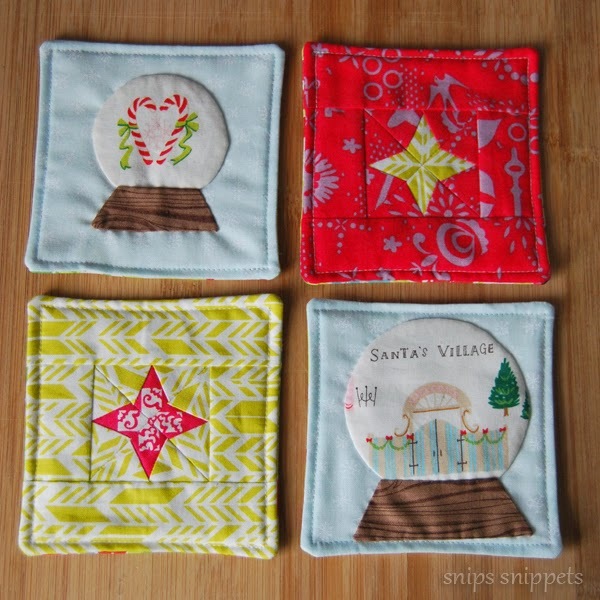 To whip up a couple sets of holiday coasters! 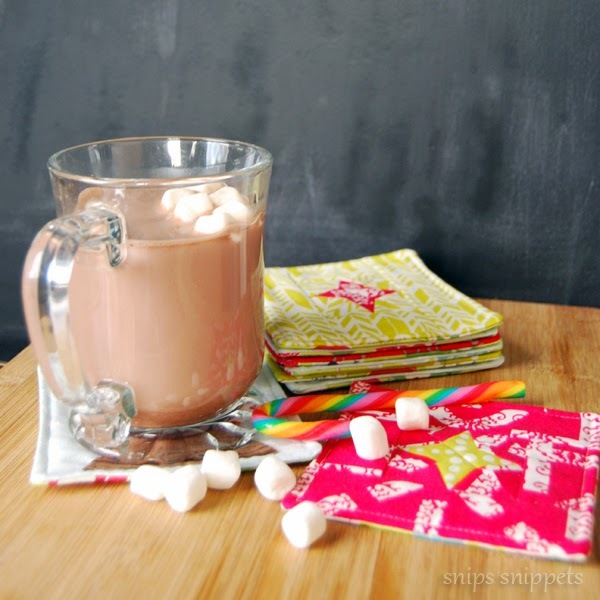 Another super simple and fast gift :) Two coasters, two mugs, a cute cello pack of hot chocolate with marshmallows, throw in some chocolates or a candy cane and you have your kid's teacher gifts for the holidays sorted! And while we're on the topic of teacher gifts, do i give teacher gifts at Christmas? I'm new to this school age kid deal!! I had fun with these and will be making more for sure, i have an Aunt that always without fail uses coasters and i think she would love a set! So that's that, well for now anyway. I'll be getting a lot of use out of this pattern, i still have another gift on the go using one of the other stars and i'll hopefully share it soon! Until then make sure to check out the other awesomeness that has been made with Celestial! And for your chance to win a fantastic gift for yourself, link up a completed gift project using the Celestial pattern – either one from the bloggers or your very own idea - for a chance to win a signed copy of Alison Glass Appliqué and a $25 gift certificate to her shop (to shop for gifts or maybe a gift for yourself!). You have until December 10th to link up your project, you can do that here. 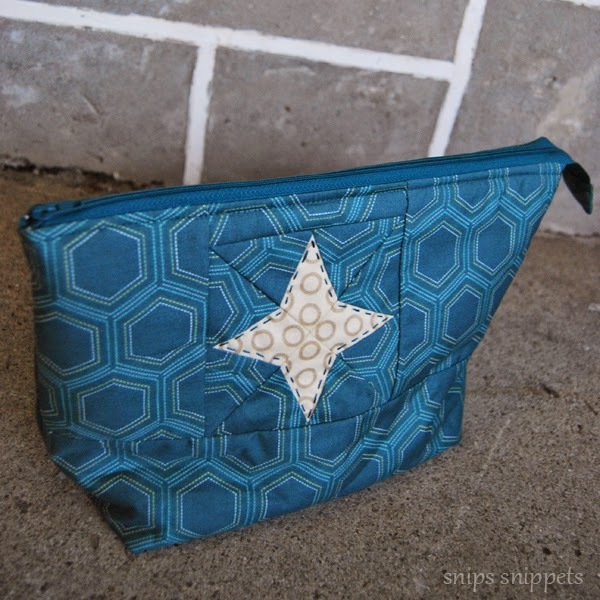 And, for the duration of the gift along, the Celestial pattern is $1 off and includes free shipping!! Sweet! Be sure to share your Celestial Gift Along progress on Instagram with #celestialgiftalong for a chance to win a pattern of your choice from Alison Glass's shop! 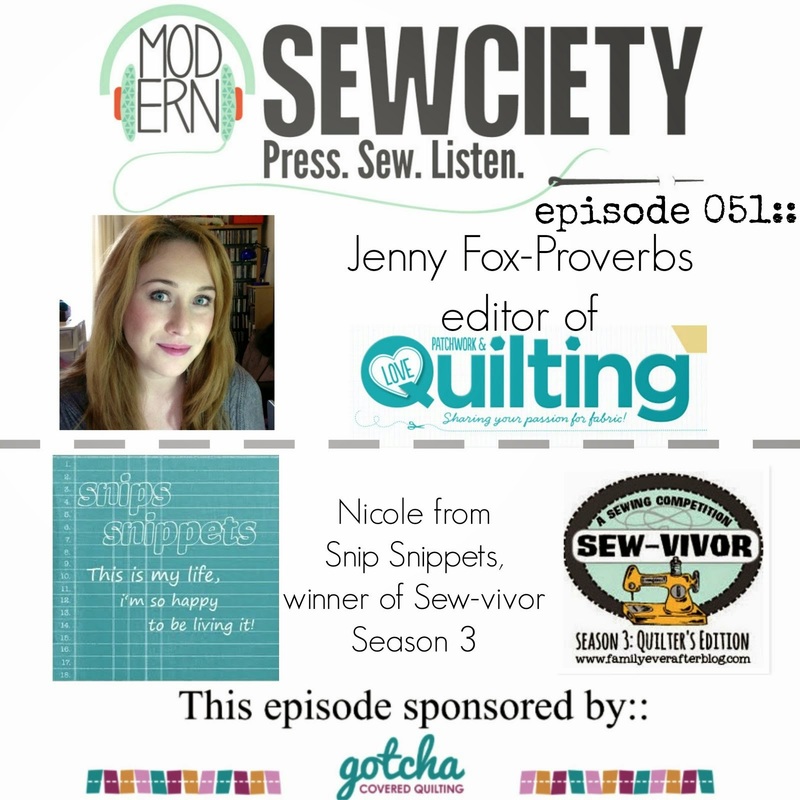 Sounds like a win win to me, finish off some Christmas sewing and maybe win a pattern... awesome! High fives to all the Celestial sewers out there! Lovely Nicole, all of them but my fave is your mums project with the blue background. I'd love that and I don't think you can have enough zippy pouches! Really cute projects! Love all the little hand stitched details and the snowglobe. i don't think a person could ever have too many zips!! Then there's always one to put a new project into :) The wide open is such a fun make and with different fabrics it never seems the same. 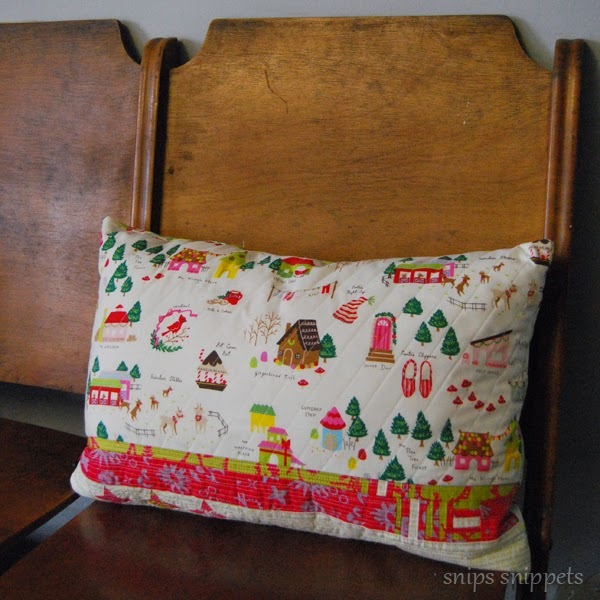 I love the Santa's Village print and it combines so well with Alison's fabric! 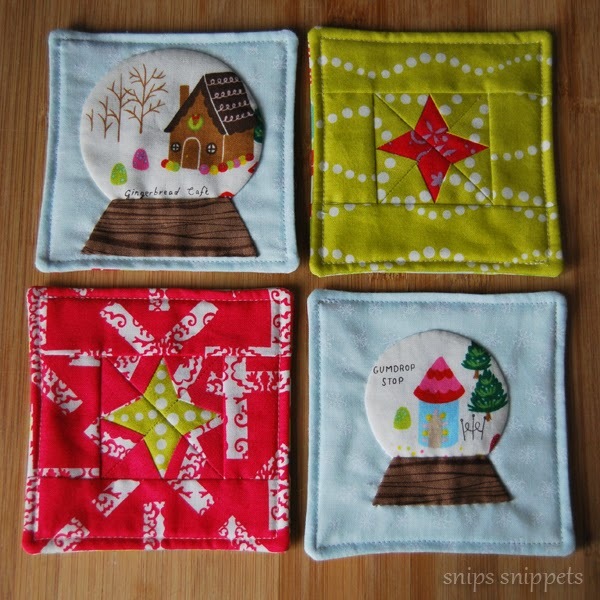 Your coasters are adorable; i love the fussy cuts and you are so clever to turn them into snow globes!! 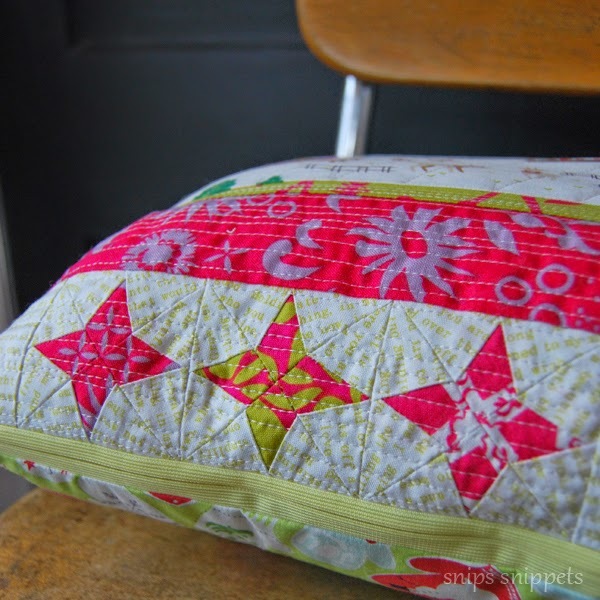 I know this post is all about those pretty little stars (so cute!) ... but ... oh my goodness those snowball glass globe coasters are gorgeous!! I'm at the same stage as you with all this school stuff - there is talk in the school yard about gifts for teachers, so I'm thinking I better whip something up quick! I think your embroidery looks fabulous! And I love all of your projects, although the embroidery is my favorite. Great job! I love the snowglobes! What a cute idea. Is there a pattern for the snowglobes in the Applique book? I love alison glass!! gorgeous fabrics and patterns! but I have to say that I need to know what dimensions you made those snow globes! they are perfect! !